Parent Volunteers Needed March 18! The HCHS Admissions Department and the PTA Admissions Committee are looking for parent help on Wednesday, March 18 from 2-5 p.m. at the Hunter Day Open House. 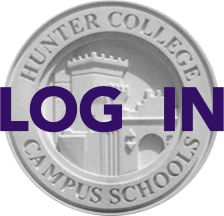 It's the first opportunity for newly admitted students and their families to visit the school and to learn about the wonderful opportunities that await them at Hunter. Please consider helping make this a welcoming experience for our newest students and their families. Reply to admissions@hunterpta.org today!